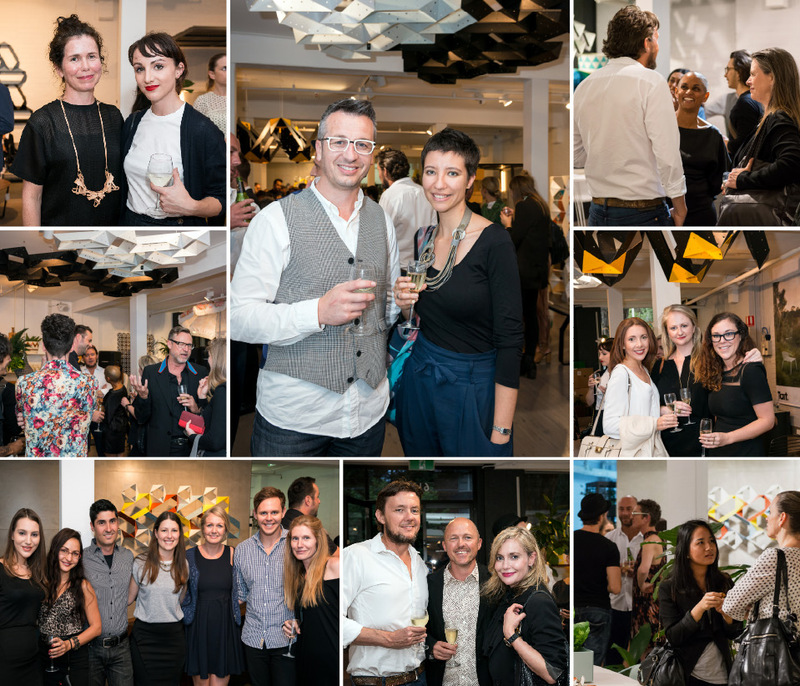 The launch of the Stellar Collection at TAIT’S Sydney Showroom. Photography Fiona Susanto courtesy of TAIT. The Stellar Collection was launched in Melbourne and Sydney during October and November 2014. I so enjoyed these events with TAIT because after all our hard work we shared Stellar with such lovely people. It’s a pleasure to post a transcript of the short speech I gave on the occasion of the launch of Stellar in Sydney, on 6 November 2014. Christina Waterson in the moment welcoming guests. Photography Fiona Susanto courtesy of TAIT. Thank you for sharing this special evening with us as we launch the Stellar Collection. 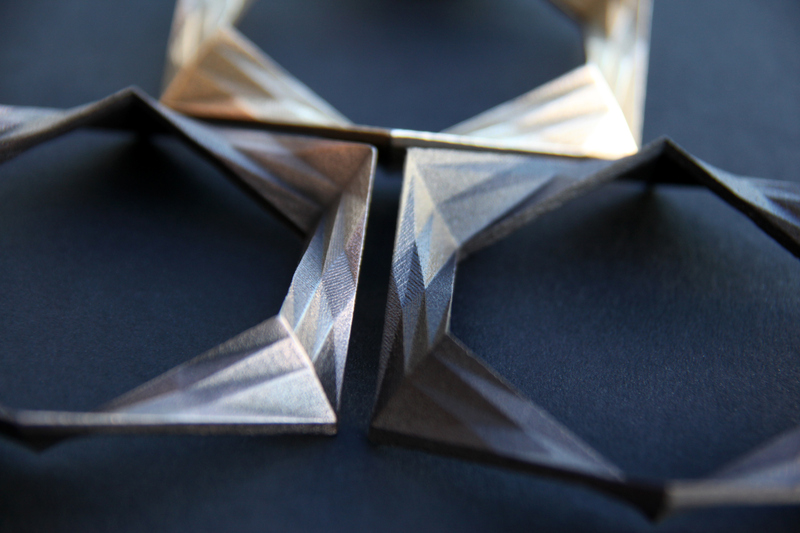 The Stellar Collection was inspired by the night sky. As a child I was in awe of the Milky Way’s beauty and would spend many a hot summer’s night out on the water tank star watching. My brothers and I would look for satellites and shooting stars, often making our own constellations using the stars we could see, and our different interests as a reference point. 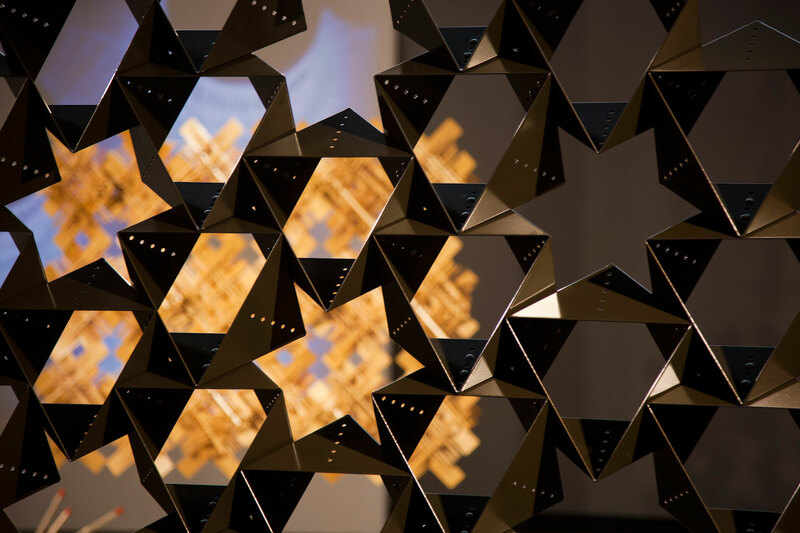 This playfulness is at the heart of the Stellar Collection as it encourages people to become modern-day astronomers, making their own constellations and patterns in the form of sculptural screens, ceilings, wall reliefs and objects. While the names and patterns for our traditional constellations are inherited from Greek mythology, almost every culture on earth envisaged patterns in the stars that captured their unique culture and nature. For Stellar’s signature patterns I re-imagined the stars in the night sky to form a set of new constellations based on the patterns and lines of Australian flora and fauna. Avid audience listens to Gordon Tait’s MCing for the Sydney Launch of Stellar. Photography Fiona Susanto courtesy of TAIT. Tonight we are launching three signature patterns in the Stellar Collection called Kingii, Banksia and Rosella. Kingii reflects the distinct form of the Frilled-neck lizard’s open mouth. Patterns within the Banksia’s flower spikes at different stages of growth and blooming are reflected in the Banksia pattern. And my favourite pattern in the collection, Rosella, captures the moment when a family of Rosellas (birdies) alight from feeding on grass seed and pine nuts. My passion is to create large-scale intricate surfaces whose depth, detail, and effect on light and shadow transform and bring a finer grain to the spaces around us. Therefore it’ only natural that Stellar’s elements form sculptural screens, wall reliefs and ceilings. The elements also make both functional and sculptural objects and we have a few of our favourites on show tonight. We are delighted to share the Stellar Collection with you and can’t wait to see the unique patterns, objects and colour combinations that you create with Stellar. What a wonderful evening made special by the lovely guests. Photography Fiona Susanto courtesy of TAIT. Gordon and Susan Tait sharing a special moment with Christina Waterson. Photography Fiona Susanto courtesy of TAIT. Stellar is a credit to all involved in the process. A massive thank you to Susan and Gordon Tait for your generosity of spirit and belief in realising the Stellar Collection. Thank you to TAIT’S fabulous team whose skill and expertise across all areas of streamlining, fabricating and sharing Stellar make it unique. 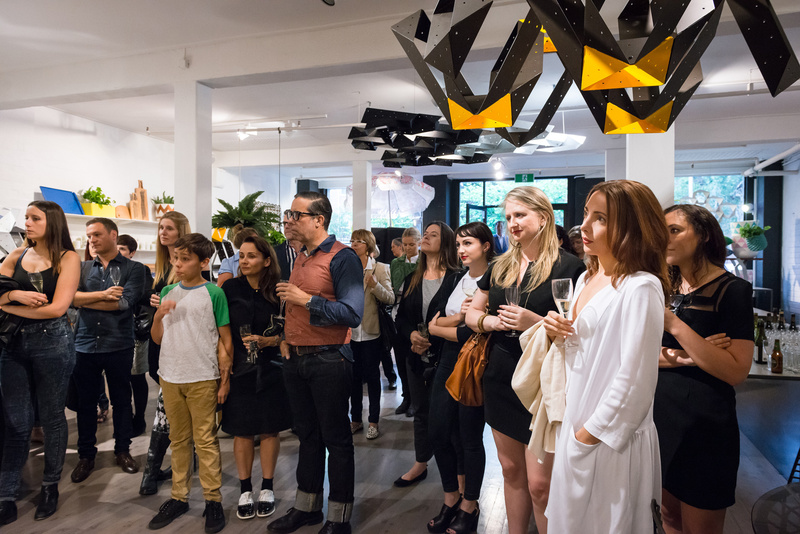 To Max&You thank you for your amazing energy on all things marketing and publicity of Stellar for TAIT, and especially such enjoyable launch events. Thank you Mr Cameron Bruhn for MCing Stellar’s Melbourne Launch, and Gordon Tait for MCing the Stellar’s Sydney Launch – you both brought a personal touch through the insights you shared. 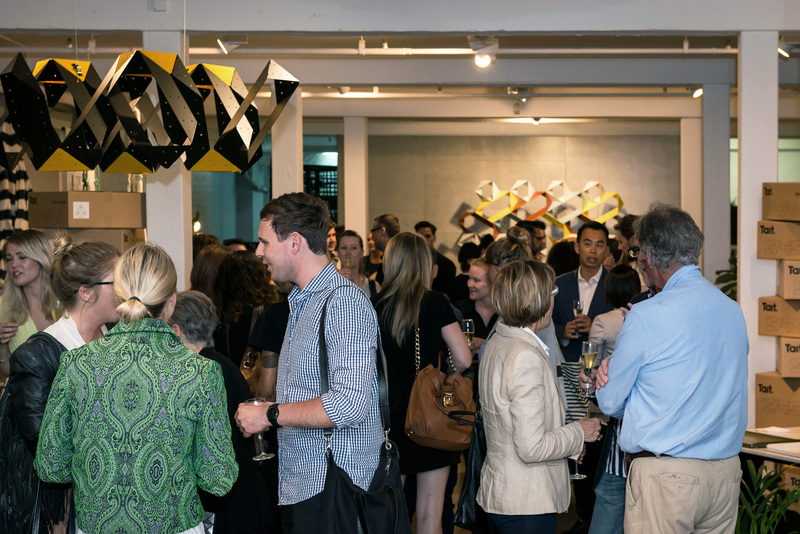 Thank you to all who attended the launch events – it was great meeting such lovely, enthusiastic and talented individuals. Visit TAIT for more information about the Stellar Collection. 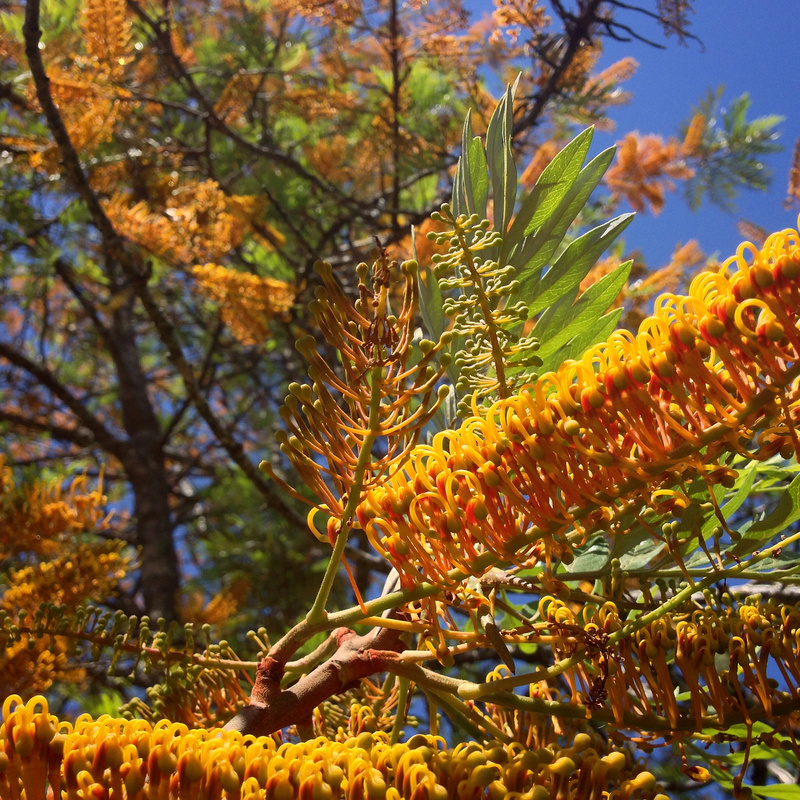 Silky Oak in bloom. Photography Christina Waterson. I have had so many beautiful things make me smile and bring me joy over the last few months. A small selection is included here. You may notice that some of the images are in a square format. That’s because they are from my instagram account that I’ve been experimenting with. Check out more images and inspiration at my instagram. Amazing visions of beauty by Fashion Designer and creative force Gail Sorronda for her Mermaids Exist Collection. Pictured here is shimmering model Chelsea Crawford wearing the Undercurrent Neckpiece by Christina Waterson for Gail Sorronda. Hair by Redken Australia and Makeup by Mac Cosmetics. Photography Megan Cullen. Photo Courtesy of Gail Sorronda. Studio Artefact Student’s work. I am pictured with Ross Summergreene as we critique our Studio’s work for Project 1, ARCH2200 at The University of Queensland. Photography Daniel Byung. 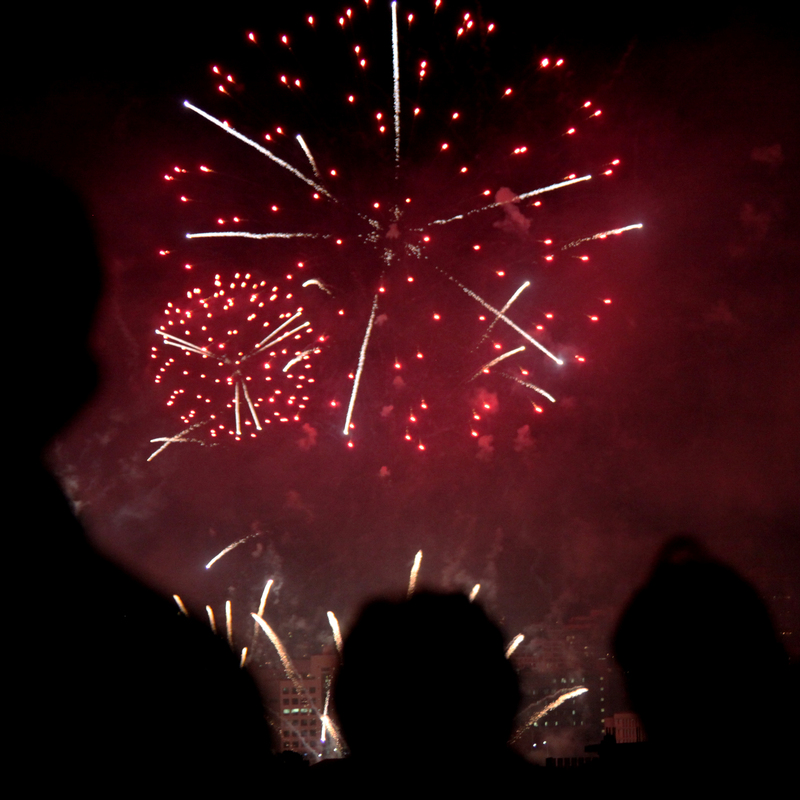 Watching people watching fireworks. Photography Christina Waterson. 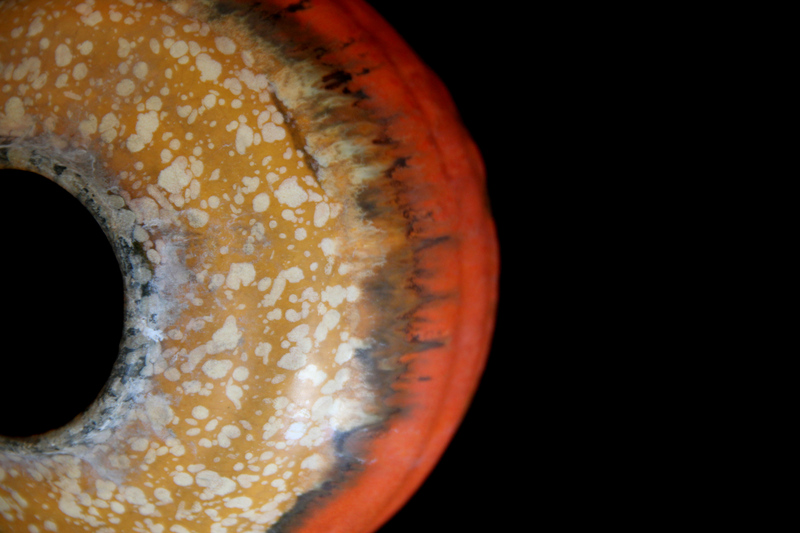 Love for earthenware. Czech Deco circa 1920’s to 30’s by Ditmar Urbach pictured. Also sometimes known as ‘Alienware’ by US Collectors. Photography Christina Waterson. Appreciating a unique moment after a storm. Photography Christina Waterson. 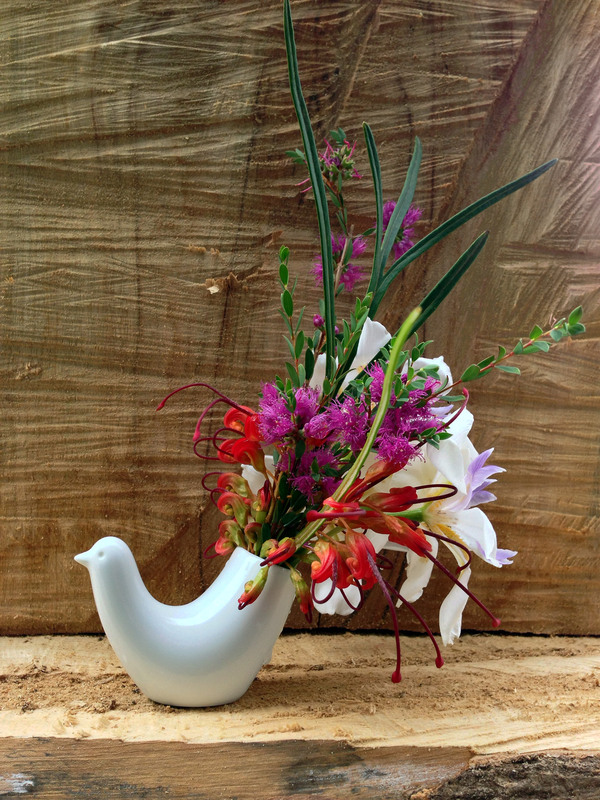 Beautiful birdie vase from Cibi with flower tail by Minka. Photography Christina Waterson. 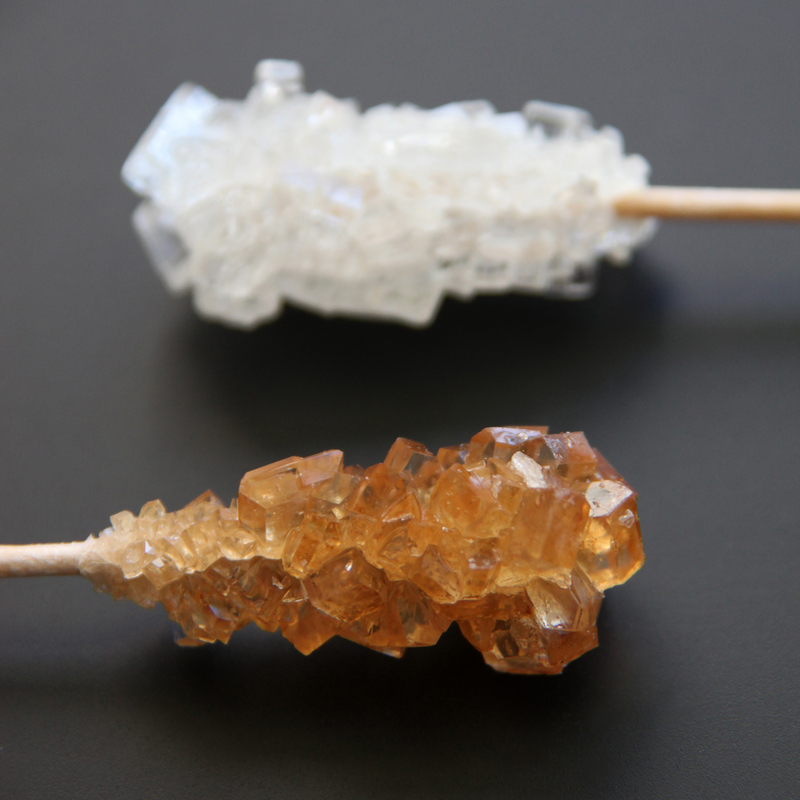 The strange little things I collect like these Japanese Sugar Sticks. Photography Christina Waterson. 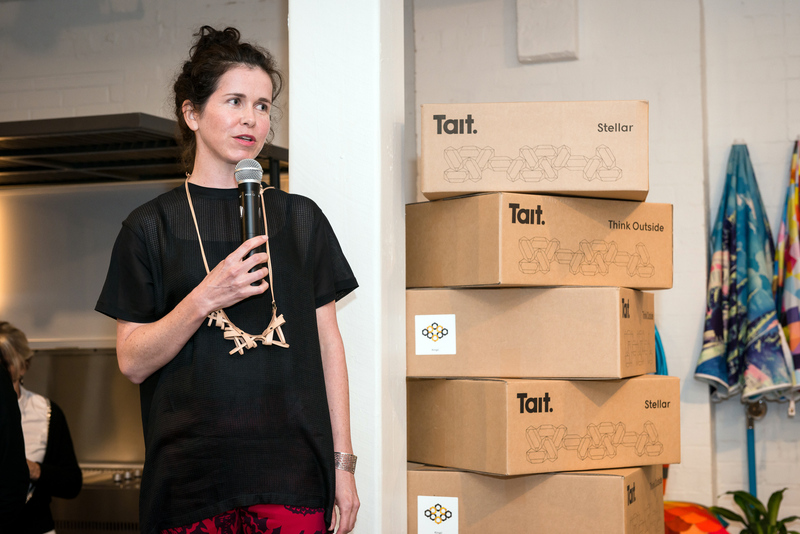 Launching the Stellar Collection with the amazing TAIT. More on that to come! 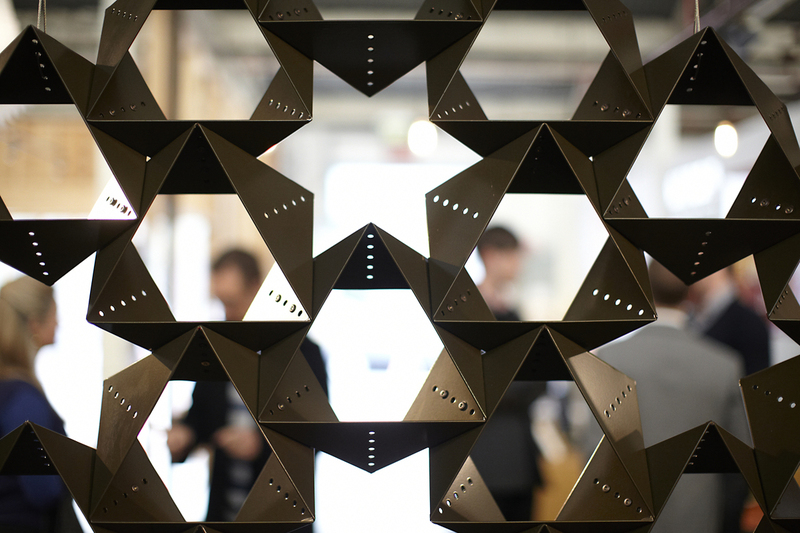 Pictured is one of the sculptural screens in the Stellar Collection. I love those shadows. Photography Christina Waterson. With the Stellar Collection of sculptural screens and wall reliefs etc. 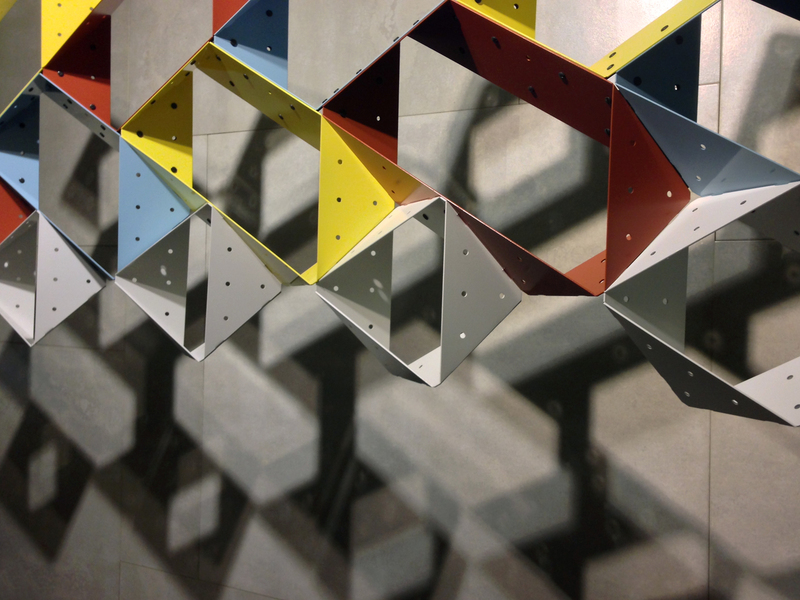 soon to be launched in Spring 2014 by the fabulous Australian furniture icon TAIT, let’s have a look back at a post from March 2012 showing the development of Scale Screen 2012. Here in full follows the original post – ENJOY! You can also see the original post here! The development of Scale Screen occurred over many years. This project was assisted by the Australian Government through the Australia Council, its arts funding and advisory body (through a New Work – Established – Australia Council Grant). 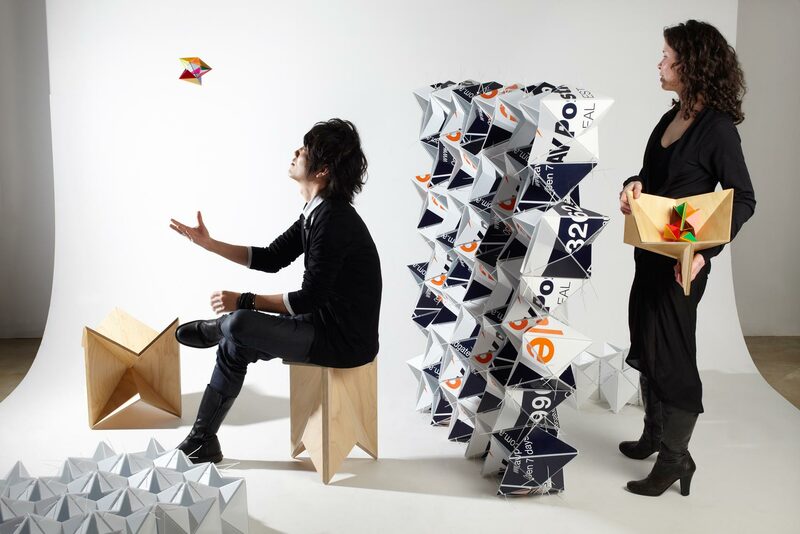 Scale Screen’s origins are linked to my Bloom Series Home-wares and furniture range, launched in 2009. Scale Screen’s origins are linked to my Bloom Series Home-wares and Furniture range, launched in 2009. From the outset of the development of The Bloom Series, I had always envisioned Pixel Screen (pictured below) to be realised in coated sheet metal. Go to TAIT’s Website and TAIT’s Blog for all news on the launch of the Stellar Collection in Spring 2014. Fall 2002 Concept for Ivory Street Window Installation in 2005 part of Unleashed 2005, artisan. Illustration by Christina Waterson. Over almost a decade I have enjoyed exhibiting my large-scale installations in artisan’s Ivory Street Window. The space is perfect; it’s protected while being very public; outward looking to Ivory and Brunswick Street and therefore an accessible way to present to people who wouldn’t ordinarily get to engage with my larger scale works. People can appreciate the installations there day and night as they walk, drive or bus by. The space also affords a different understanding of ones work through the light, movement, near and far approach; and the scale of the window space and street itself. 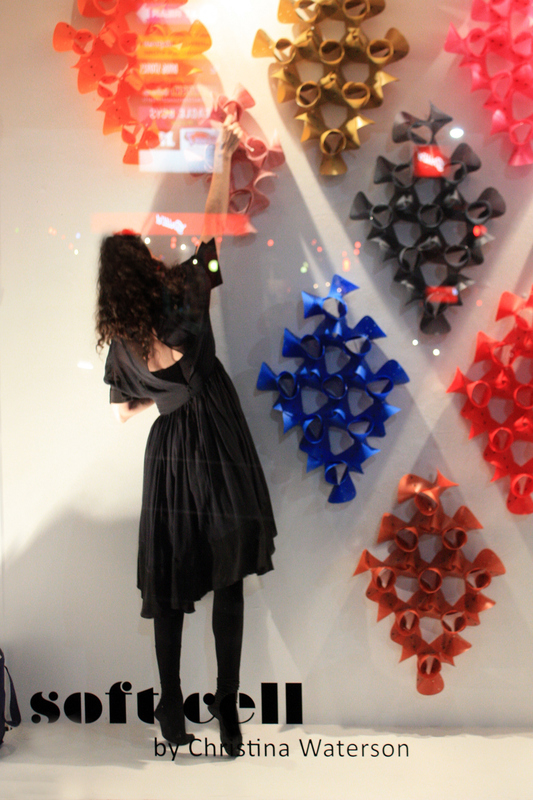 I’ve presented installations in artisan’s Ivory Street Window at key moments in my practice. Here I share with you a snap shot of the three installations undertaken in 2005, 2008 and most recently 2014. Fall 2002 Detail of Ivory Street Installation 2005. Photography Andrea Higgins for artisan. Fall 2002 was installed in artisan’s Ivory Street Window in 2005 as part of Unleashed exhibition. 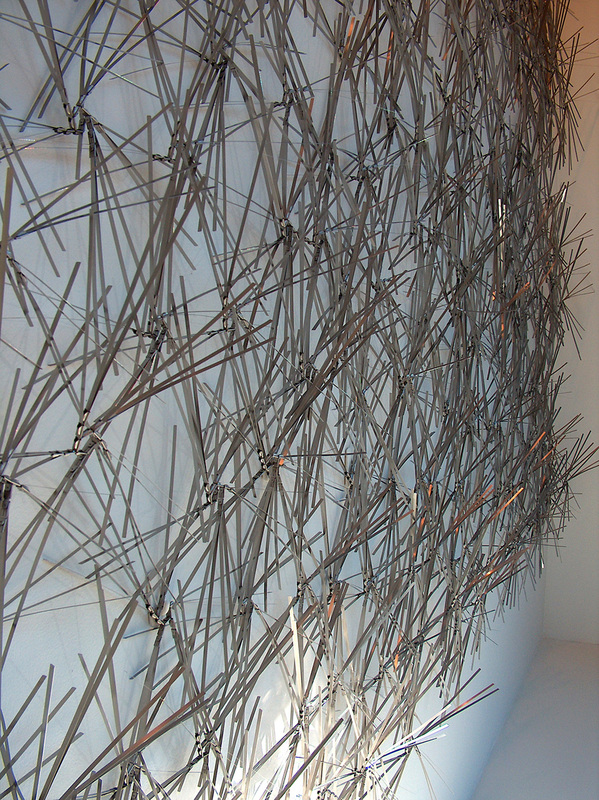 Fall’s interlocking stainless steel elements cascade against the surface of the wall with its elements able to be reconfigured into a hanging installation (Rest 2002) and stacked horizontally (Align 2002). Fall 2002 Detail of Ivory Street Installation 2005. Photography Christina Waterson. 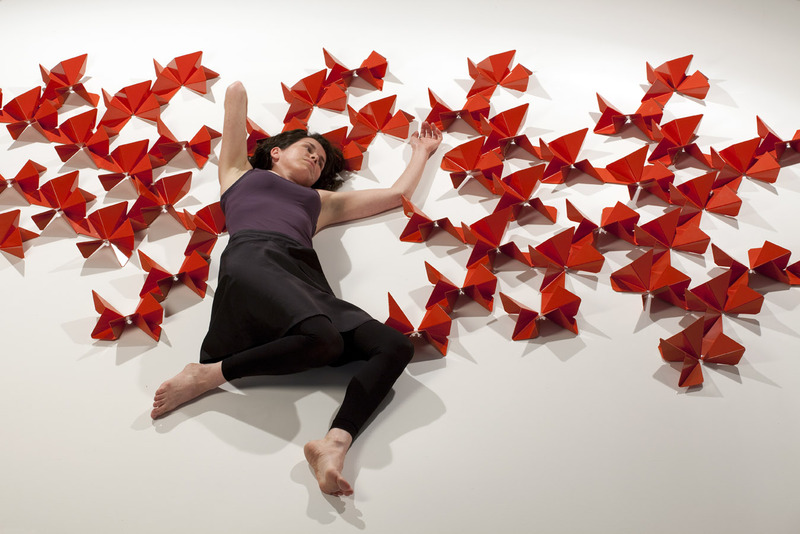 Gravity transformed the perfect geometric forms into a scurry of movement and light. The stainless steel elements quivered with slight changes in air flow and their thin edges reflected the smallest presence of light. Street and traffic lights as well as headlights of passing cars were beautifully reflected in the work’s thin stainless steel edges. Fall is now an important part of my personal collection and takes pride of place in my living room. 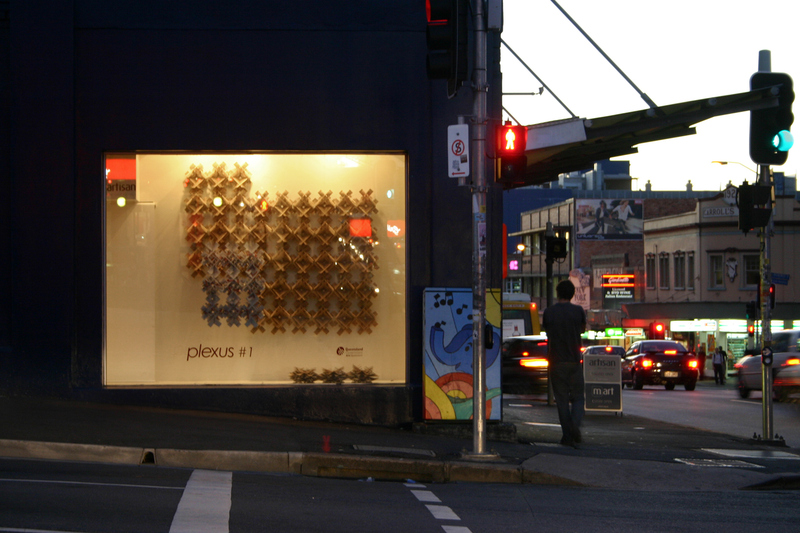 Plexus #1 2008 installed in artisan’s Ivory Street Window in 2008. Photography by Andrea Higgins for artisan. Plexus #1 (Cardboard Prototype Komodo Series) 2008 hand cut and woven in recycled cardboard. Presented in artisan’s Ivory Street in 2008. Photography Andrea Higgins for artisan. 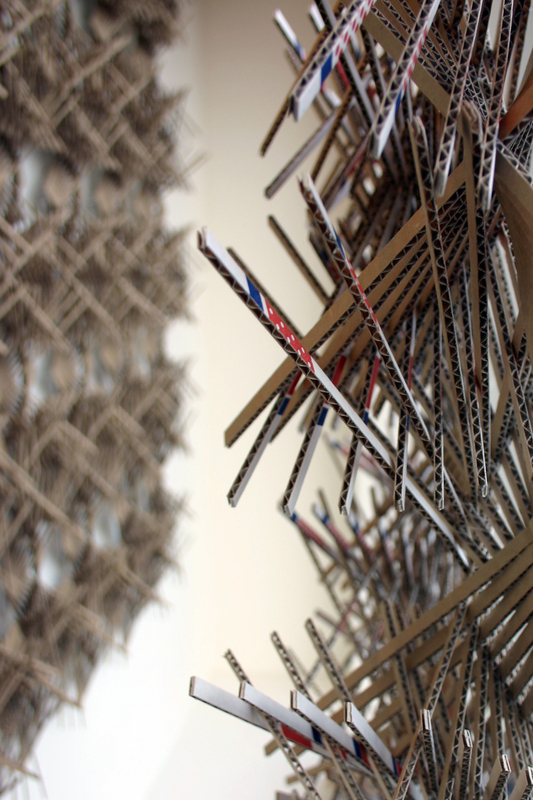 In 2008 I showcased a preliminary hand cut cardboard prototype of Plexus #1 (Part of the Komodo Series launched later that year at Living Edge, Brisbane). 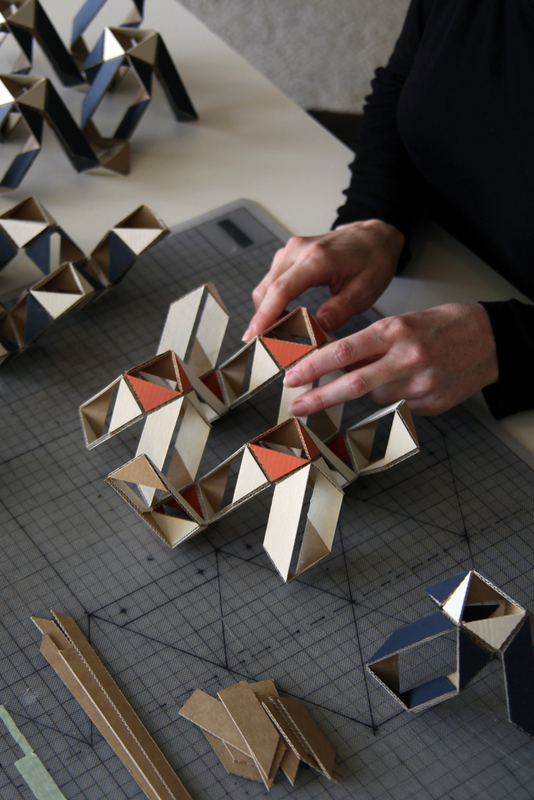 The series includes three-dimensional arrays, weavings and sculptural objects that explore beautiful repetitive, structural forms at a variety of scales. 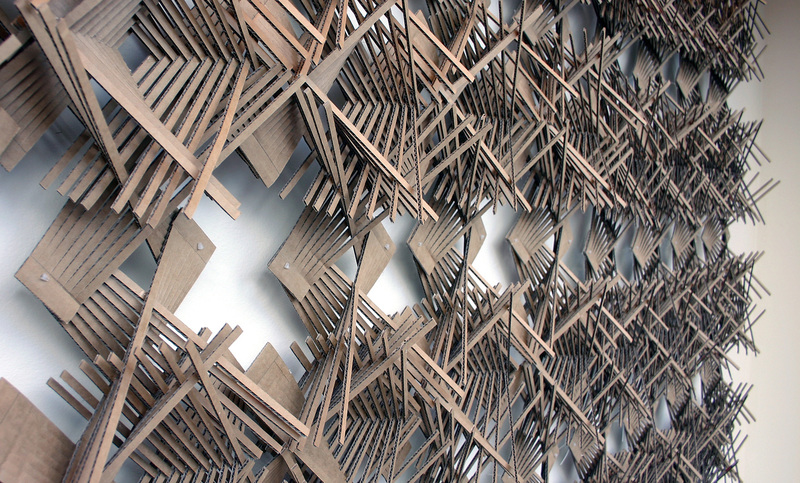 Plexus #1 (Cardboard Prototype Komodo Series) 2008 detail showing the space of the window and materiality of the work. Photography Andrea Higgins for artisan. As people moved past the the window installation they would see ever shifting tessellation between the work and its shadow. Closer inspection revealed the delightful materiality and complexity of the interwoven elements. Over the month Plexus #1 was in artisan’s Ivory Street Window it evolved and grew; with new elements added weekly until it finally filled the window. 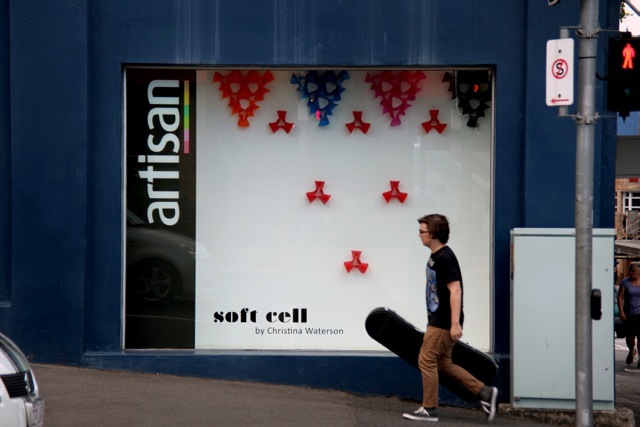 Day time street view of Sequence 01 – Soft Cell (Domestic Bliss Exotic Dream) 2014. Photography Christina Waterson. 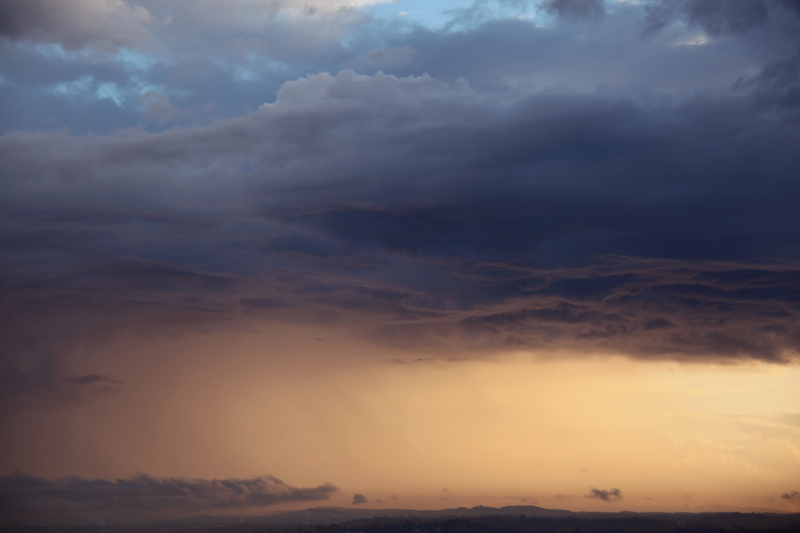 Dusk street view of Sequence 04 – Soft Cell (Domestic Bliss Exotic Dream) 2014. Photography Courtesy of Richard Stride for artisan. Soft Cell 2014 was installed during May 2014. The installation evolved through five distinct sequences and was a playful and colourful installation of my latest collection and softer direction. Night time street view of the final sequence of growth – Soft Cell (Domestic Bliss Exotic Dream) 2014. Photography Christina Waterson. 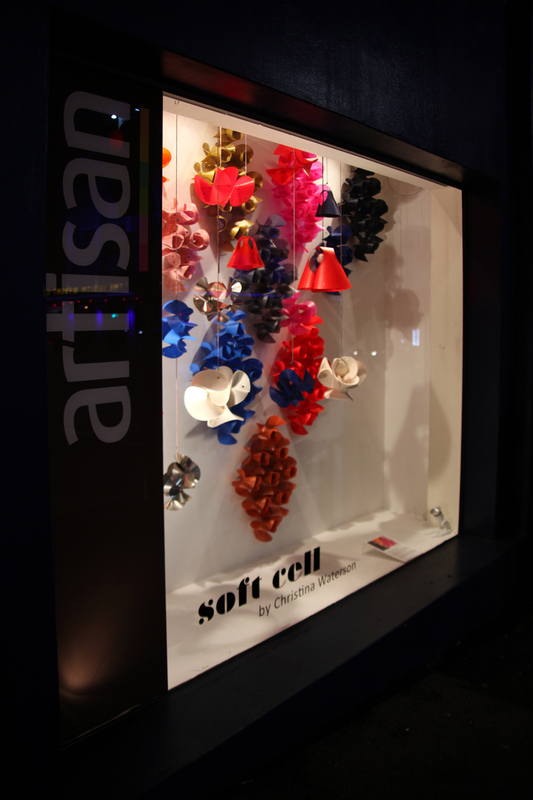 More on this my latest installation – Soft Cell 2014 and the whole collection in a future post! STAY TUNED! THANK YOU artisan; idea skill product for supporting my work through display and exhibition over the past decade. 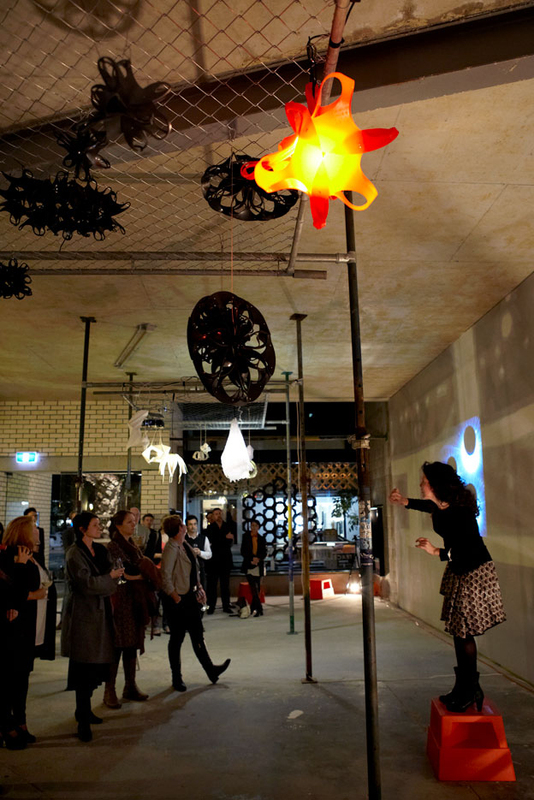 Launching the Why We Create Series in 2012 at Pin-up Project Space Melbourne. Photography James Braund. Throughout my creative practice I enjoy sharing knowledge through writing, blogging, lectures, talks and workshops. It may come as a surprise to you just how active I am in this area. It’s an integral part of my practice, if not sometimes the most important. Why? I feel sharing my perspective and experience in this way may encourage other practitioners, bring perspective to professions about the importance of design and creative thinking; share an understanding of the process behind realising creative projects and encourage people to find their own groove and path in the world. On the eve of presenting a series of workshops and talks for QUT Art Museum as part of the WOOD: art design architecture exhibition (presently at QUT Art Museum) I reflect on some of the key knowledge sharing moments I have enjoyed along the way. Sharing the making and concept behind Tracelet 2012. Photography James Braund. Since starting my blog tracepattern.wordpress.com in 2011 I have enjoyed writing about creative practitioners’ work as well sharing the background to my own practice and process. 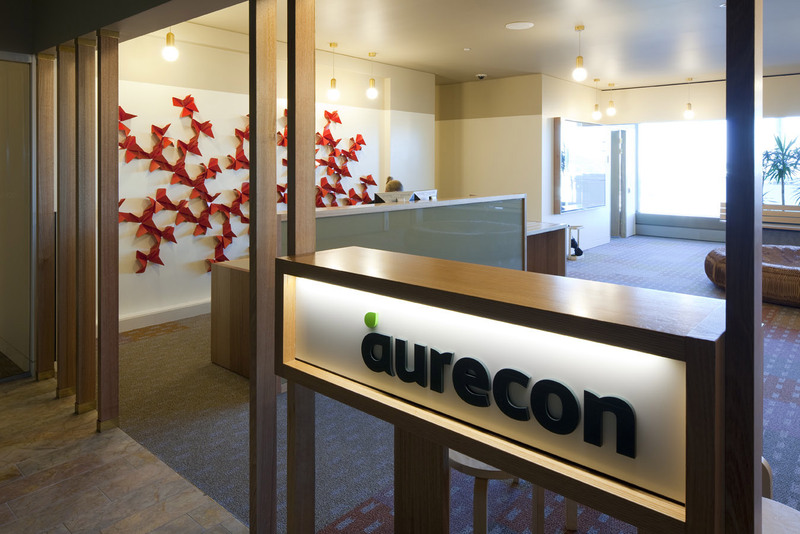 During this time I also contributed as a freelance writer and photographer for ArchitectureAU and worked as Creative Director for Howwecreate. 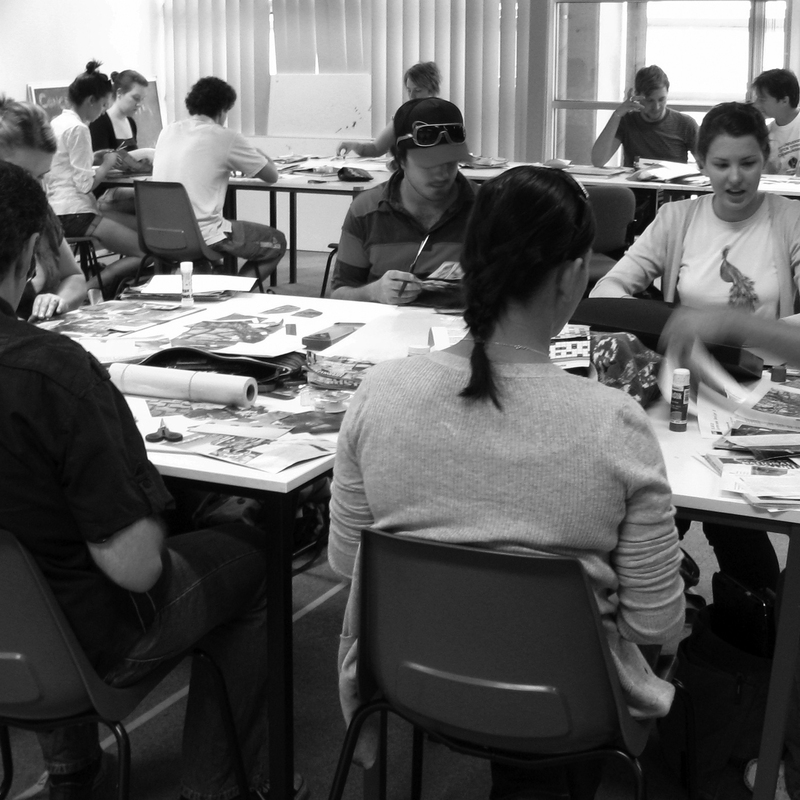 QUT Landscape Design Studio Workshops, 2009. Photography Christina Waterson. ‘Pattern and Tectonic’ Workshops for Brisbane State High School Year 11 Art Students in early 2013 culminated in their annual CREATE event. An Art + Place Workshop and Talk, for Arts Queensland, at Noosa in 2012 led to a chance meeting with architect Phillip Daffara (PlaceSense). My inclusion in a series of Workshops with artists Nicole Voevodin-Cash (Public art and Landform) and James Muller (New media/Film maker) for Montessori International College Students the same year came from this first meeting. 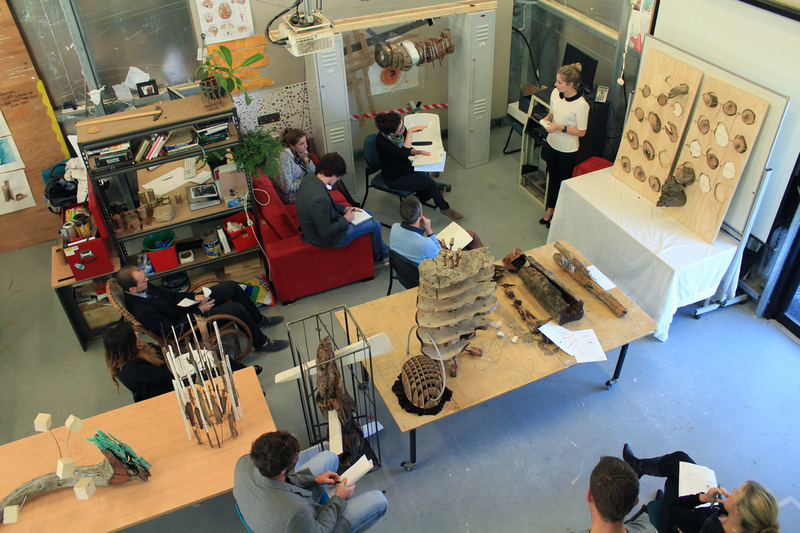 The workshops engaged students and staff to use art practices in galvanising concepts, developing guiding principles to articulate the Art+Place vision; and identifying opportunities for integrated artworks within the College’s new campus. Why We Create’s Queensland Launch in 2012 at Trace on James Street. SLQ APDL Side Project Interview with architect Shane Thompson. Image Courtesy of APDL. There have been a host of public lectures and forums each with their own unique focus, content and audience. 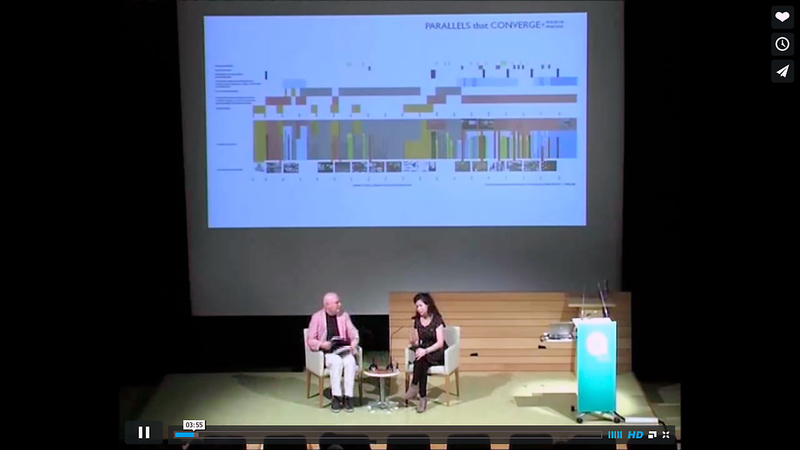 Most memorable were an SLQ Side Project Interview with Architect Shane Thompson in 2012, Pecha Kucha UNLIMITED Talk (State Library of Qld) in 2010, World IP Day Talk QUT (Kelvin Grove Campus) and Pecha Kucha Vol 01 (Brisbane Powerhouse) in 2008. 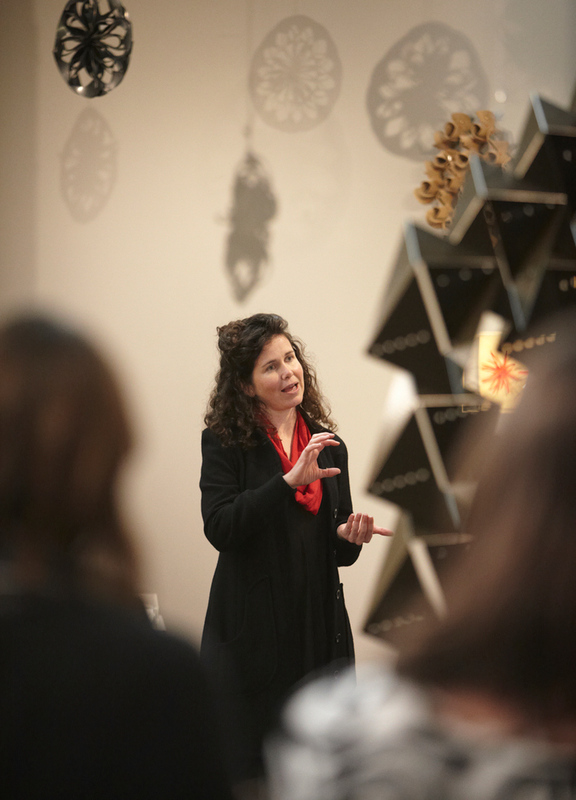 I recently gave a talk to design students visiting DesignEX 2014. I presented alongside the exceptionally talented practitioners Gordon Tait (TAIT) and Adam Goodrum in a session chaired by Penny Craswell. I so enjoyed seeing Gordon and Adam’s inspirational work! 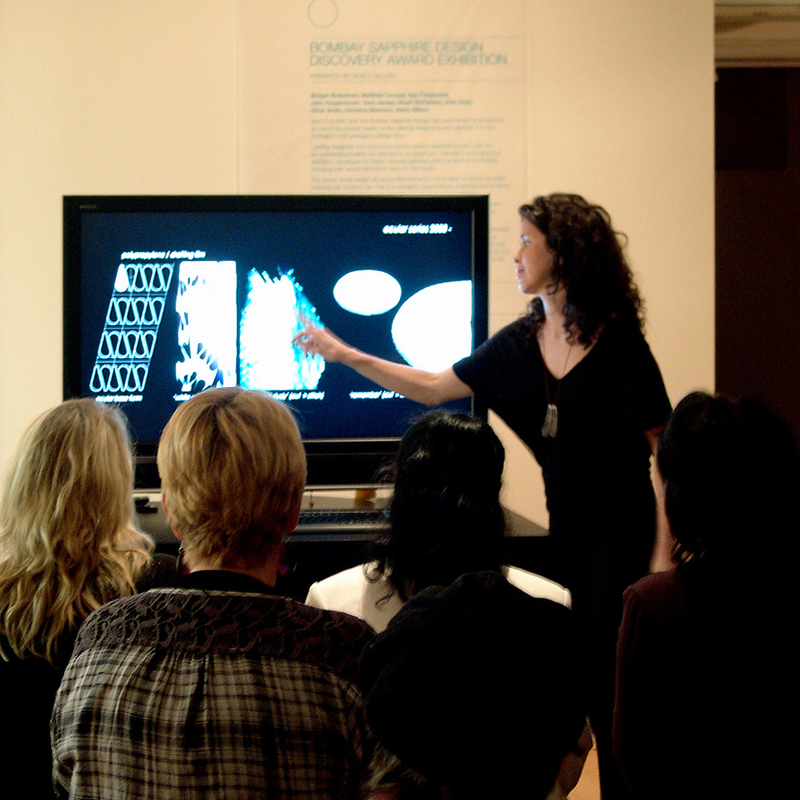 Bombay Sapphire Design Discovery Award Floor Talk at Redland Gallery in 2008. 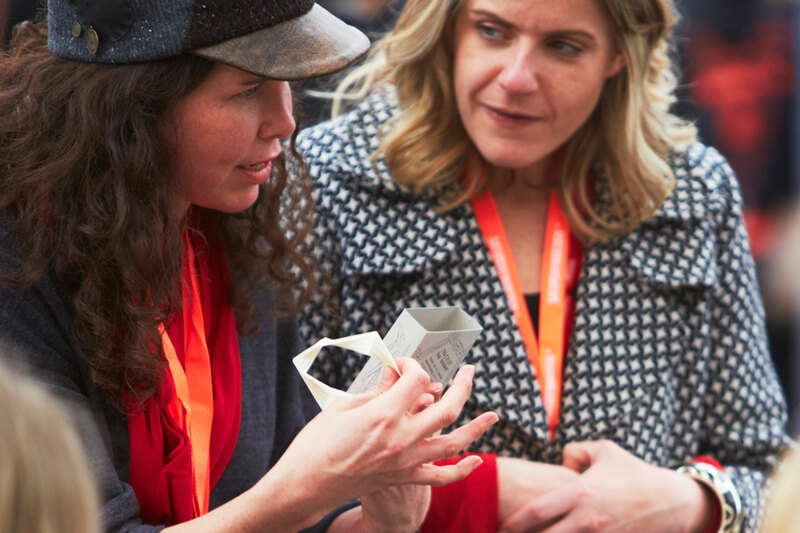 Artist Talks are a lovely way to connect with people and share knowledge on a more intimate level. My most memorable and enjoyable artist talks include one held at the Rosshilli House, Ipswich (Queensland), a Gold Coast Chapter DIA Breakfast Talk in 2010, and a Bombay Sapphire Design Discovery Award Talk at the Redlands Regional Art Gallery in 2008. 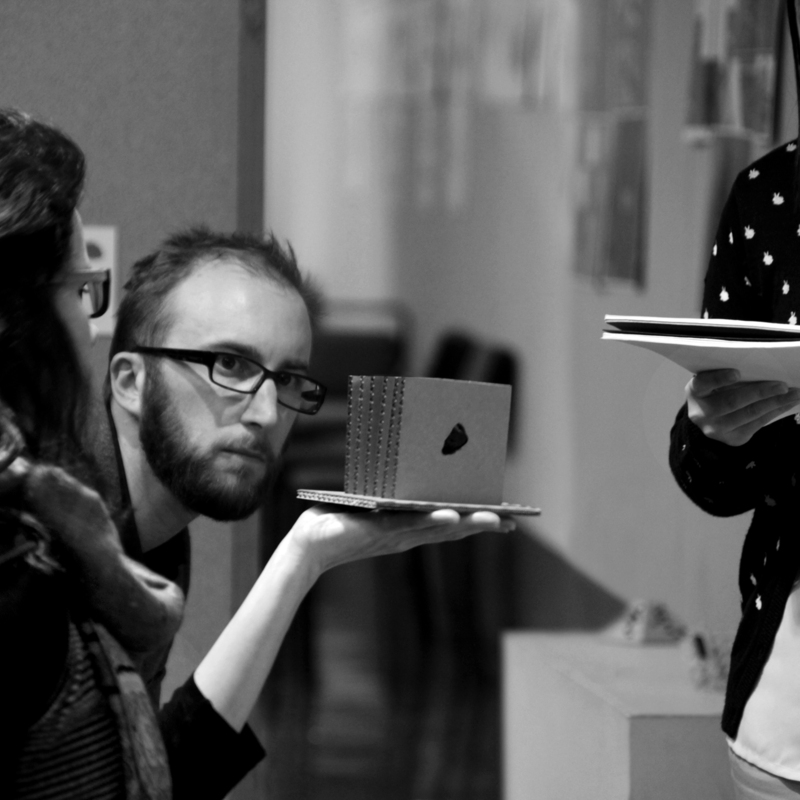 Guest Critic for Bond Uni Architecture Design Studio Crits in 2013. Photography Courtesy of Bond University. Guest lecturing and critiquing is also important and takes a lot of energy to ensure feedback is specific, clear and relevant to each student and their project. Last week I had the pleasure of being a guest critic for Suzanne Bosanquet’s 3rd Year Design Studio at University of Queensland (UQ). I have been a guest critic across a diverse range of design fields including Architecture Design, Interior Design and Landscape Design at The Queensland University of Technology, University of Queensland and Bond University. The 2014 AIDA jury (L-R): Paul Kelly, Susanna Bilardo, Hamish Guthrie, Joanne Cys (jury convenor), Geraldine Maher, Victoria Judge, Matthew Blain, Christina Waterson and Ryan Russell. Not pictured is jury sustainability advisor, John Gertsakis. Photography Jonathan Butler. Courtesy of ArchitectureAU. 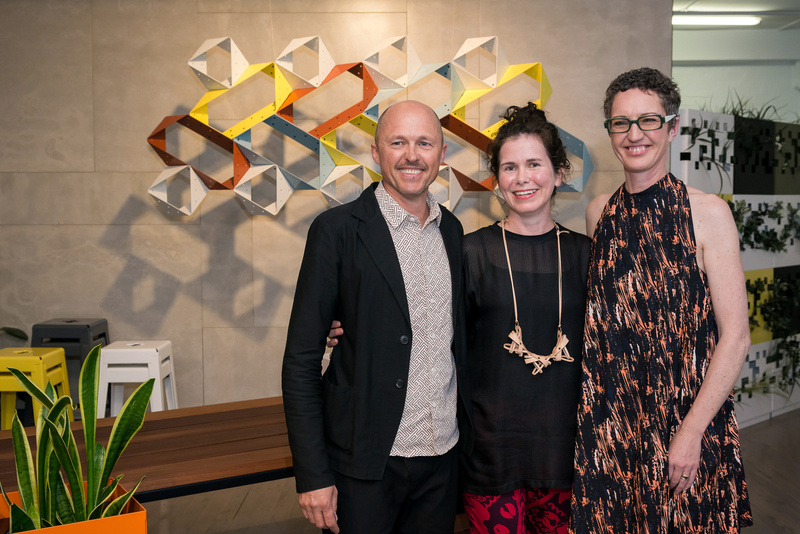 Being a member of the judging panel for 2013 The Australian Interior Design Awards and returning as a Co-Chair for the Awards in 2014 was insightful, affirming and fantastic to contribute to the design profession in this way. Other guest judging roles I have undertaken include for the 2008 Noosa Regional Travelling Scholarship, and 2012 Launchpad Programme. You never know the difference made through sharing in these ways. I encourage you to be generous with your time, ideas and perspective when it comes to knowledge sharing. Your biggest legacy may well be how you inspire people to greater things in their own practice. See QUT Museum’s website for WOOD Workshops in June 2014. I am also presenting a public floor talk on Thursday 12 June 2014 at the QUT Art Museum. 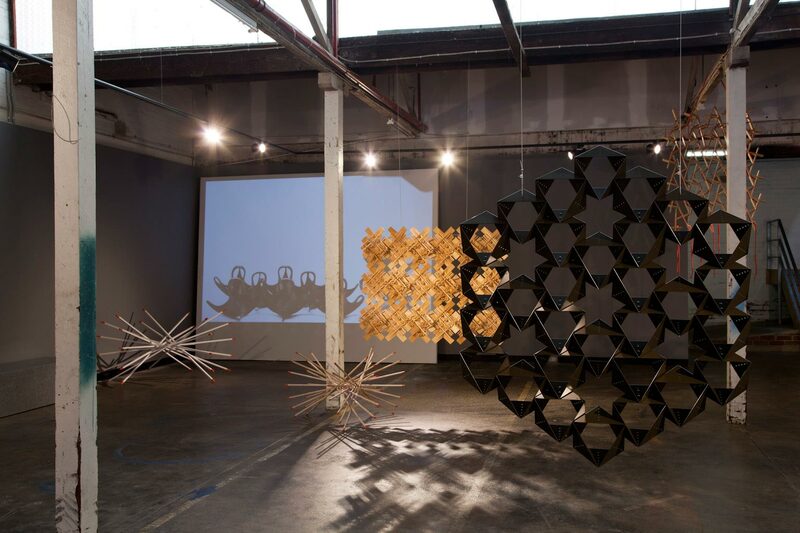 WOOD: art design architecture exhibition view at Jam Factory Contemporary Craft and Design. Photography by Christina Waterson. 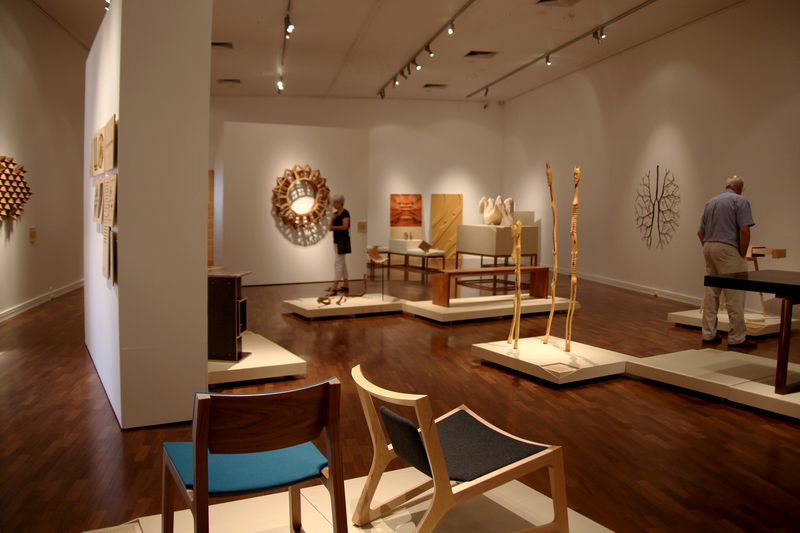 The national touring exhibition WOOD: art design architecture opened in Brisbane at the QUT Art Museum last week. 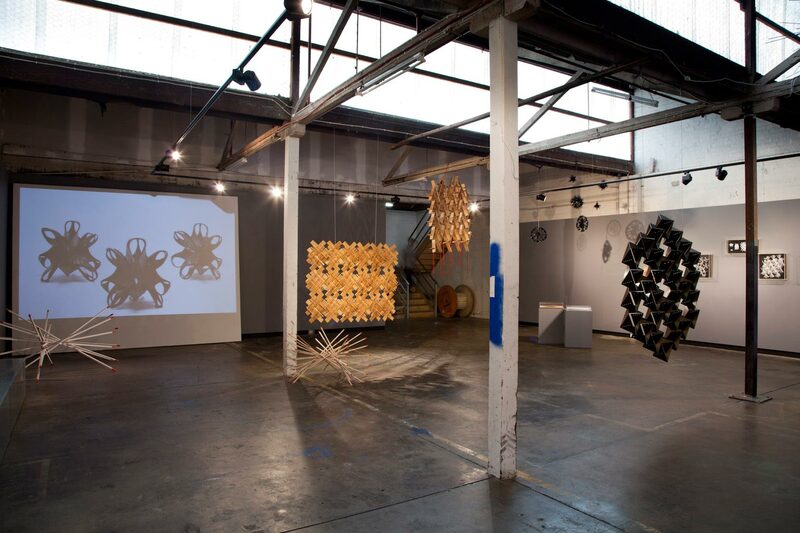 I thought I would share with you my review of the exhibition written originally for ArchitectureAU online on the occasion of the exhibition first opening at JamFactory Contemporary Craft and Design, in February 2013. And so not to ruin the experience of seeing the work in QUT’s generous sequence of exhibition spaces, I have only included photos of the original JamFactory installation that accompanied the text below. Enjoy! Greer Honeywill’s This housing estate is not to scale #2 (foreground) and Boot Lace by Sherrie Knipe with Colony by Christina Waterson, behind. Photography by Christina Waterson. WOOD: art design architecture celebrates our long relationship with wood and presents its diverse properties and qualities, along with the multiplicity of ways it can be worked. The exhibition includes work from twenty-eight Australian exhibitors who either work directly with wood, or with skilled crafts-people. 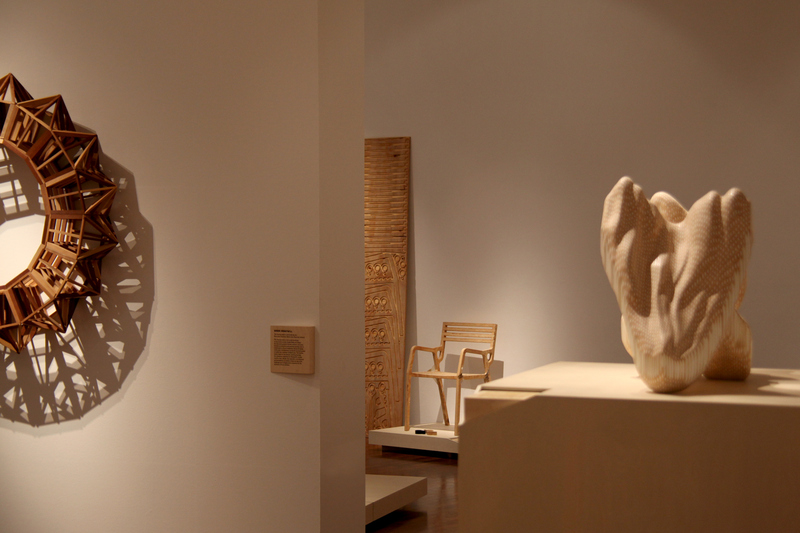 The pieces relate to each other on several levels to form an overall vision for the exhibition based on figure and form; pushing material limits; craftsmanship and our eternal connection to wood – through place, nature, use and memory. Interior and architectural projects are part of the showing. These are often difficult to appreciate in an exhibition context without directly experiencing the made place in real-time, but each project is presented in a distinct way to give an insight not available in the experience of the actual project. Brian Hooper and m3architecture’s Tree of Knowledge Memorial 2009 is presented through a single key image alongside one of the recycled hardwood elements used to reinstate the aura around the remains of the Tree of Knowledge. This allows an intimate experience of these elements (that hang out of reach in the actual project) and thus enables an appreciation of the hardwood’s age, materiality and previous life as telephone and electrical poles. A simple scale model of March Studio’s Baker D. Chirico on the other hand emphasises the contour like nature of its interior plywood ceiling and wall strata. John Wardle Architects’ Jewellery Box with form studies of the Shearers Quarters project. Photography by Christina Waterson. Small massing and form models of John Wardle Architect’s Shearer’s Quarters project are displayed in an elegant spruce jewellery box with sliding drawer. The Jewellery Box is crafted with the same care and attention to detail as the office’s architectural projects and represents a key part of the practice – the relationships formed with highly skilled craftsman to achieve complex architectural ideas. The fruit of these key relationships is found in the joyful and intimate experiences that punctuate life lived in and around this practice’s buildings. 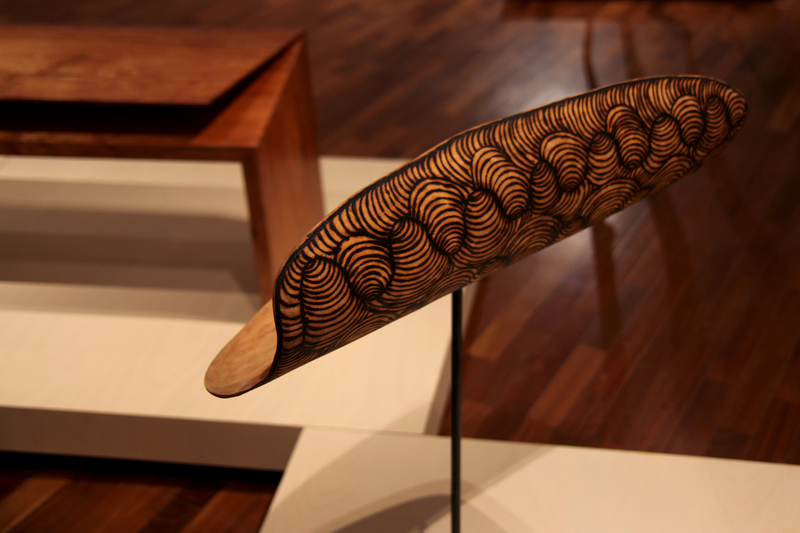 Piti, 2012 by Billy and Lulu Cooley uses river red gum burnt with design, displayed alongside Clipped Wing Bench in Tasmanian Blackwood by Simon Ancher. Photography by Christina Waterson. Hossein Valamanesh’s Breathe 2012, bronze cast from assembled twigs and branches, celebrates the life-giving force of nature, forests and trees. Architect Drew Heath’s spaces are warmed by light that has been warmed by wood’s hue. Developed within the experimental confines of his own home, Heath’s light lintels (on display) and layered ceilings incorporate marine plywood to warm our modern-day fluorescents. 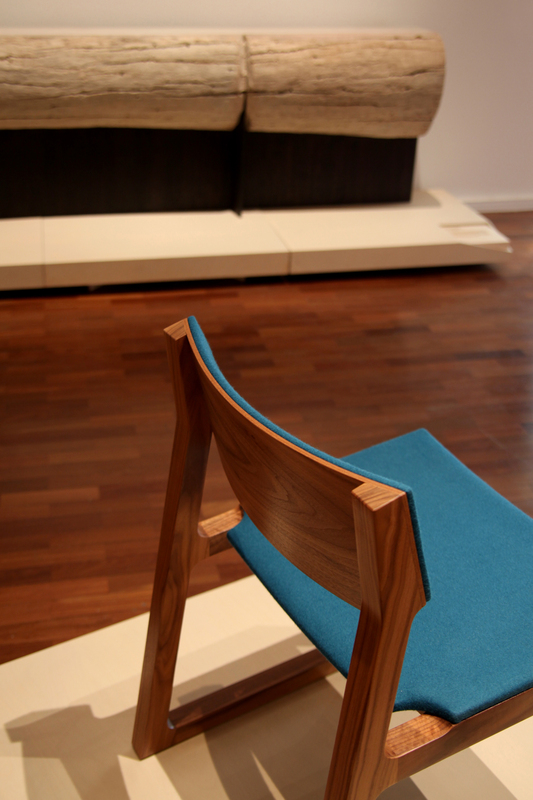 Amore mio chair in American black walnut by Jon Goulder with Tom Miram’s The Memory Keeper, 2012 (background). Photography by Christina Waterson. Tom Miram’s The Memory Keeper 2012 is made from the trunk of a fallen coastal grey box, and marks his connection to the place of his childhood, and the history of change along its river valley. 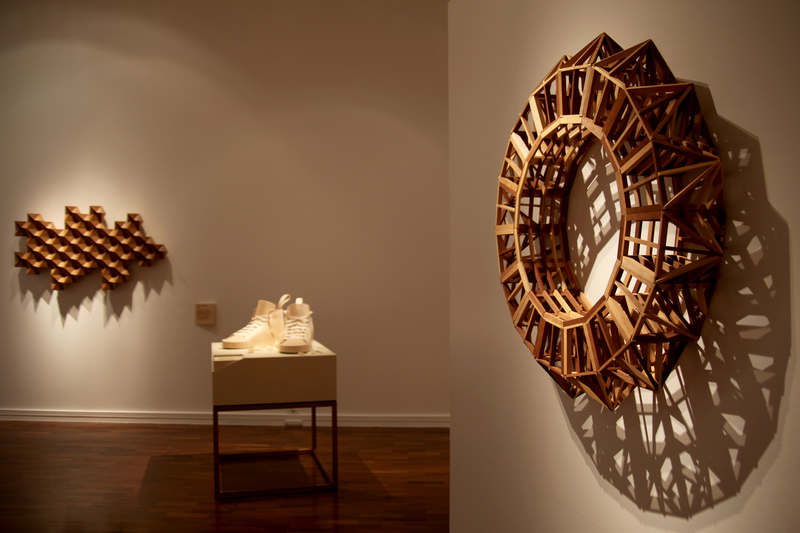 Other works show the process of realising work in wood. Requiem (spirit of the beehive) by Lionel Bawden (right) with Greer Honeywill’s This housing estate is not to scale #2 (left) and Plantation Chair by Alexander Lotersztain (behind). Photography by Christina Waterson. Alexander Lotersztain’s marine plywood Plantation Chair prototype (a step to the final design with adjustment marks and cuts) is displayed beside a standard plywood sheet nested with the assembly elements of four Plantation Chairs and accompanying Eggcups. Sherrie Knipe’s patterned Boot Lace and John Quan’s incredibly thin Flexible Desk Lamp push timber veneer to its limits, while offering playful outcomes. 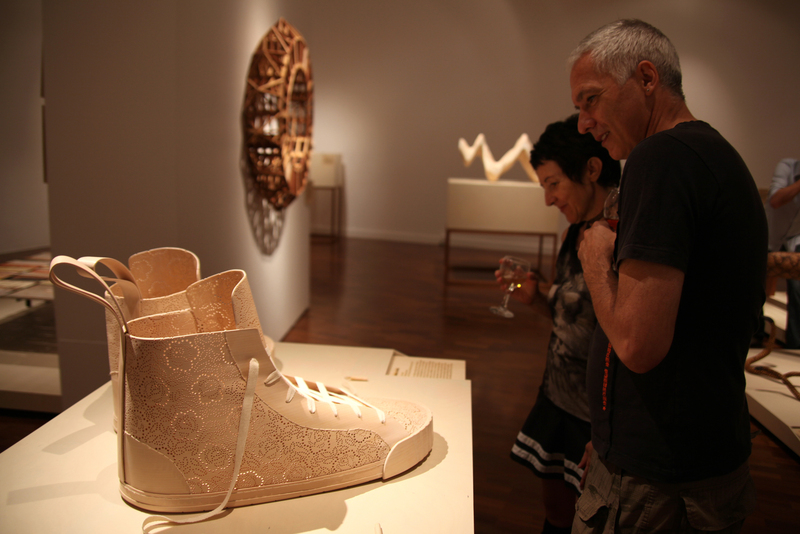 Visitors appreciate the detailed pattern in Boot Lace by Sherrie Knipe. Photography Christina Waterson. Brief 2012 (my favourite work in the exhibition) by Damien Wright, is a large dining table made using ancient petrified Red Gum and Ringed Gidgee. Its honesty, logic and refinement exemplifies Wright’s adept skill and the unique techniques he has developed to form these hard to work timbers. 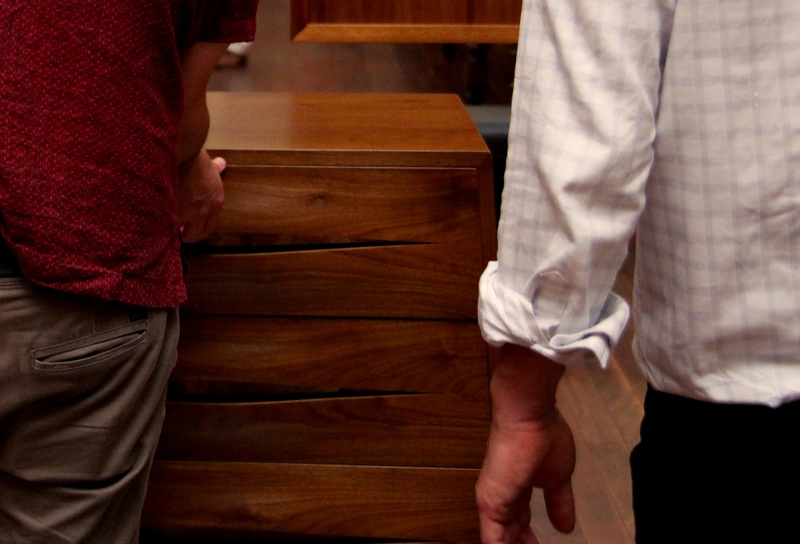 The undulating drawer fronts of Khai Liew Julian Chest 2011 invite touch and use to appreciate the solid American black walnut. It is made with care and exactitude and will age gracefully over generations to come. Up close with Khai Liew’s Julian Chest 2011, solid American black walnut with patinated copper inlay. Photography by Christina Waterson. Throughout my visit to this exhibition, I felt a strong desire to touch the works – to get up close, to see the grain and smell the scent of the woods used. Our long, close up and personal relationship with wood is kindled by this heart-felt exhibition and beautiful accompanying publication. Wood is warm to touch, alive and ever-changing and continues to find a place within our lives and memories. WOOD: art design architecture resulted from a collaboration between JamFactory Contemporary Craft and Design and Botanic Gardens of Adelaide, where it was presented in February through early April 2013 with the exhibition continuing its national tour throughout 2013 and 2014. 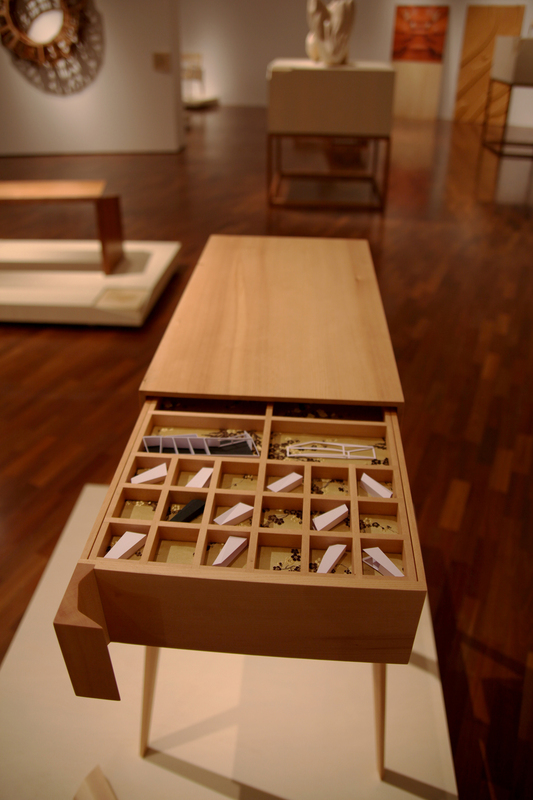 The exhibition at QUT Art Museum continues until 29 June 2014. See their website for details. 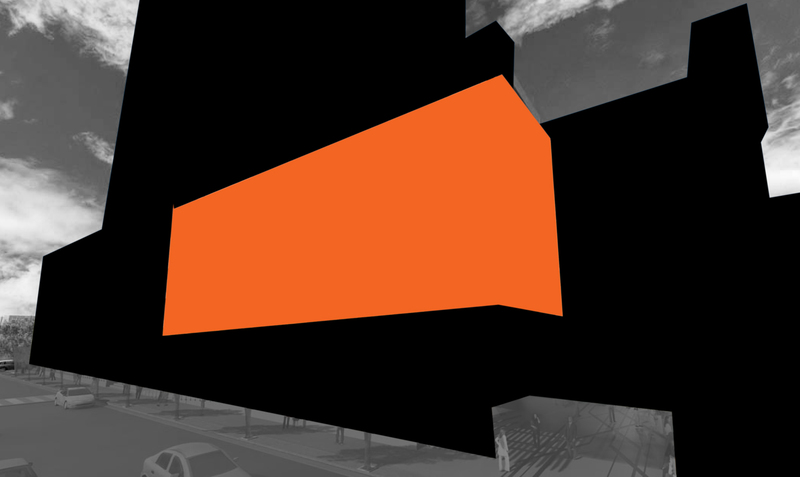 January 2014 – Shortlisting for Major Public Artwork. In January, February and March I worked on a diverse mix of projects that demanded a next level approach and work ethic. I really hit the ground running in January. I was shortlisted, along with three other Australian Artists, for a 500sqm Public Artwork Building Facade Project in Brisbane. The Artists included the talented Mandy Ridley (Brisbane), Stuart Green (Perth), Alexandra Knox (Melbourne) and yours truly. The project result is still pending so I can’t share the details with you just yet. Fingers crossed on the outcome! by Nika Zupanc. Image courtesy of Space. 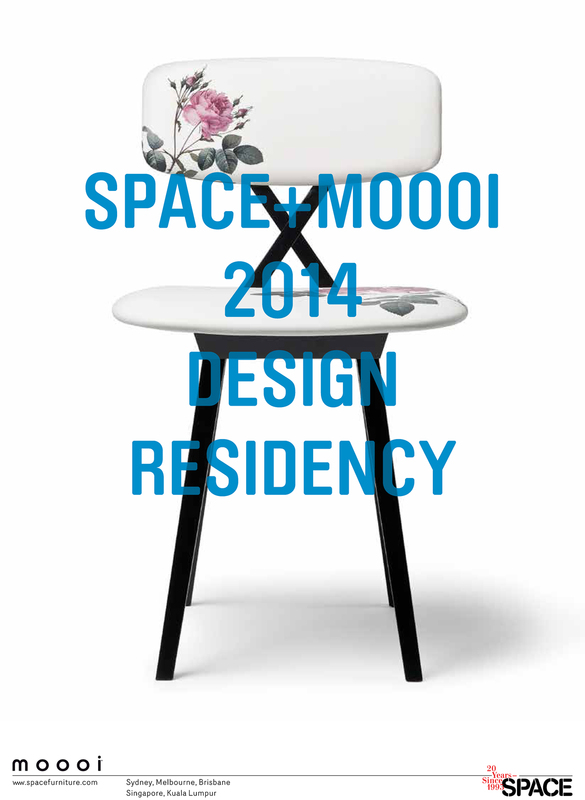 In January I was also shortlisted for the Space + Moooi 2014 Design Residency along with eight other talented Australian Practitioners. While I didn’t take home the gong I gained some great perspective and insight into my own practice through the process. Congratulations to Tom Fereday for being awarded the Residency! 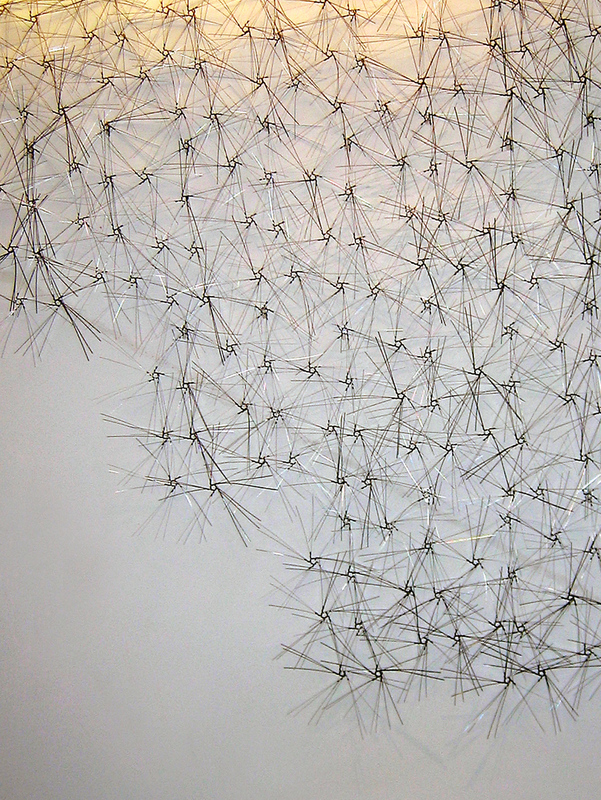 In the making – Celestial Analogue (Stellar) 2013/14. Photography Christina Waterson. Celestial Analogue 2013/14. Photography Christina Waterson. 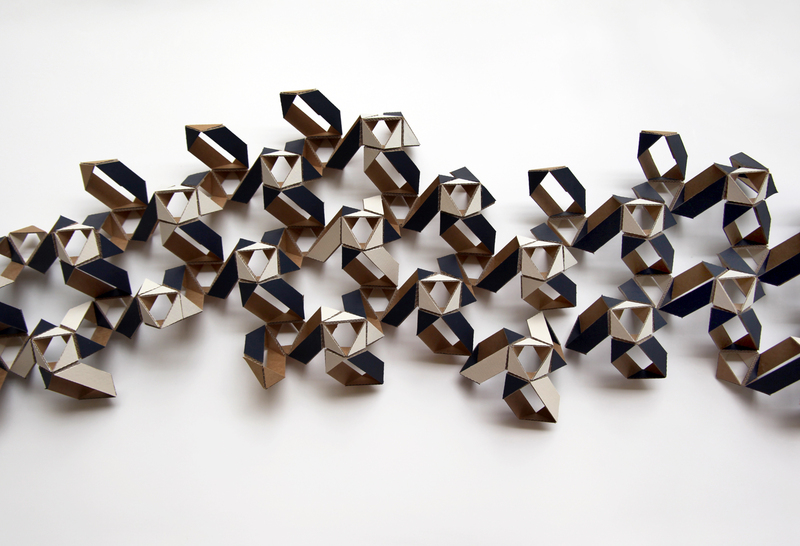 Throughout January and February I was busy in the studio making the finishing touches to Celestial Analogue (Stellar) 2013-14 for the exhibition Chain Reaction, that opened at artisan on 20 February 2014. Read more about the exhibition and the work here! 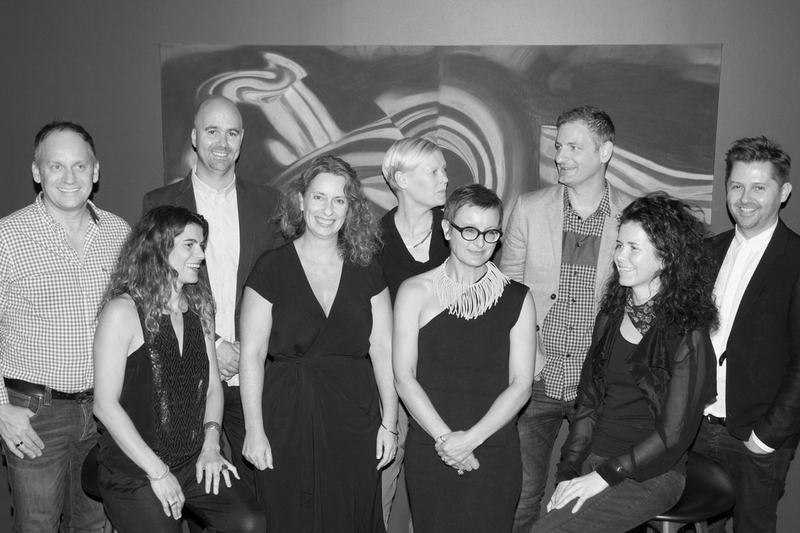 It was a pleasure to be a return jury member and Co-Chair for the 2014 Australian Interior Design Awards in March. The awarded projects will be announced at a special event in Melbourne in May 2014. Visit the AIDA website for details. Tracemetal 2014 released in February 2014. Photography Christina Waterson. In March I launched Tracemetal, a special edition of Tracelet in metal. Tracemetal is stocked with the amazing Fashion Designer and creative genius Gail Sorronda, in Brisbane. Read more about Tracemetal and stay tuned for more stockists to be announced. 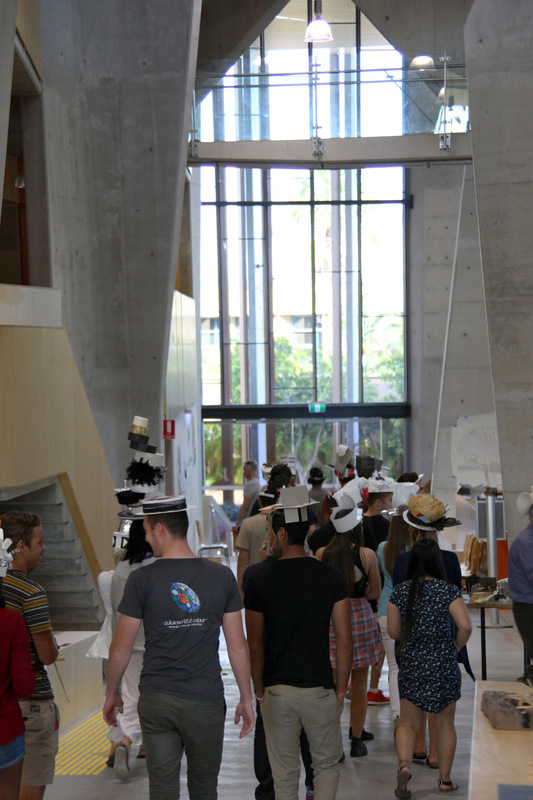 1st year Bond University Architecture students parade their mixed media assignment ‘Complexity and Contradiction’ hats for Philosophy of Design coordinators Haig Beck and Jackie Cooper. Photography Christina Waterson. In March I assisted the truly legendary Haig Beck and Jackie Cooper (UME magazine) as they coordinated and presented the Philosophy of Design Subject for 1st Year Architecture students at Bond University, Gold Coast. On 26 March 2014 I joined members of the visual arts community in celebrating the outstanding contribution and achievements of Fiona Foley (Artist and Adjunct Professor at UQ) and Julie Ewington (Curator and Head of Australian Art at QAGOMA) as they were awarded the Australian Arts Council’s 2013 Visual Arts Award. I had the pleasure of working with both Fiona and Julie during time at UAP and The Queensland Art Gallery. It was great to witness such talented, intelligent and committed women receive the awards. See the event in a slide show format here by Photographer Mick Richards. 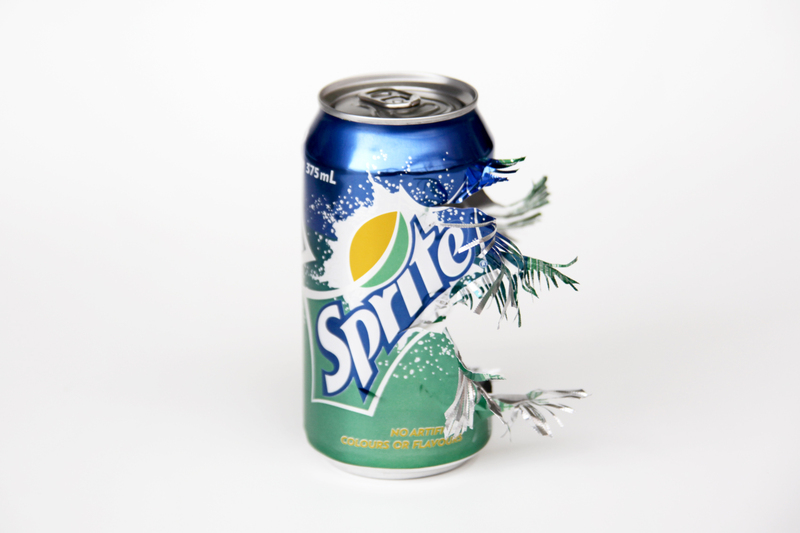 The Escape for One Can, exhibited at artisan. Photography Christina Waterson. Keeping it fun and simple I contributed the work ‘The Escape’ for the One Can exhibition that opened at artisan on the 31 March 2014. More about the brief set by Quench, the exhibition and work here. Early morning work in the studio. Photography Christina Waterson. During January, February and March the studio was abuzz with an eclectic mix of new work, equipment, meetings, bids, tenders, collaborations and partnerships and lots and lots of making. I look forward to sharing with you these projects as they are realised, made public and formally launched over the coming months.